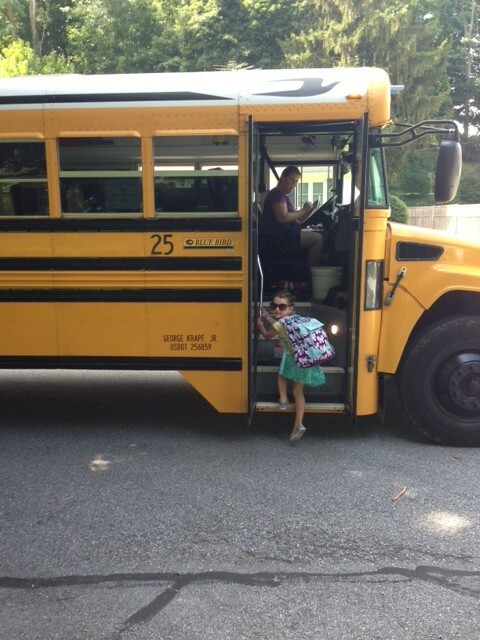 After a great summer, I’m feeling a little old, with my youngest daughter starting kindergarten this week! I don’t have a Facebook account, so I will subject the PT readers to my sentimentality and photo sharing. This melancholy did not prevent me from pulling together a bunch of interesting tax procedure material from last week that we did not otherwise cover. SumOp this week touches are some really interesting bankruptcy matters, and some PT favorites, such as extended statutes of limitations for understating income and for preparer fraud, preparer reliance for penalties, and obtaining fees and costs from the Service. Before getting to those materials though, I would encourage you all to check out Wednesday’s lead Tax Notes article regarding the Tax Court’s electronic access to documents, in which Keith Fogg is quoted extensively. You can find the article here (sorry, TNT subscription required). The Tax Court, in Barkett v. Comm’r, held that the reported taxable gain by the taxpayer and not the gross amount realized by the taxpayer was the applicable amount for determining if the reported amount understated the gross income by more than 25% for purposes of the extended six year statute of limitations under Section 6501(e)(1)(A). The taxpayer argued that the gross amount of sale value reflected on its original return should have been the number considered when comparing the reported amount against the actual gross income, and the instructions to the regulations stating otherwise were thrown out under Home Concrete. The Court found that was not the case, and even if it were, that would not necessarily overturn various prior Tax Court rulings on the subject matter. We’ve previously touched on whether a return preparer’s fraud, or an agent’s fraud, extend the statute of limitations with coverage on BASR, Citywide, and Allen. Les had an excellent post on this topic last October. BASR is currently up on appeal in the Federal Circuit. Briefing has occurred, and Jack Townsend has summarized the positions here. Last week, the Service released CCA 201434021, which provided guidance on when a withholding agent may obtain late documentation to indicate a foreign person was entitled to the portfolio interest exemption for withholding. E&Y has an extensive background write up found here. Sections 1441 and 1442 require withholding agents to withhold 30% of interest, dividends, rents, or other fixed periodic payments made to foreign persons from US sources. There are various exceptions, including interest on portfolio debt obligations. The regulations under Section 871 allow for evidence of qualifying for the portfolio interest exception to be offered during any period where the refund statute is open (three years from date return is filed, or two years from date tax is paid). In one of the scenarios, one of the foreign persons had not paid over any tax, nor filed a tax return, so the time frame for providing the documentation had not run, thus allowing the withholding agent to avoid liability if the documentation is provided at any point. This is a taxpayer and withholding agent friendly position. In Wright v. Comm’r, the Tax Court held that taxpayers did not show reasonable cause in relying on an opinion letter from an attorney who the Court determined not have experience in the area the opinion letter covered, and found it important that the letter was contingent on the taxpayers signing the “Investor Representations,” which was never done. The taxpayers’ estate planning attorney also reviewed the materials, and indicated it seemed reasonable. It was not clear if their accountant also reviewed the transaction, but the Court did indicate that the taxpayers failed to show reliance on the estate planning lawyer or the accountant. The failure to sign the investor representations is highlighted as a major issue, but I would think it wouldn’t matter much if the practitioner clearly had expertise and the position was defensible. I would also note, the Court did not provide much guidance on how the taxpayer should or should not have known the attorney would not be competent. It simply indicated he lacked experience in the particular area of tax. Prior experience is not the only way to gain competency in many matters. I do not doubt the Court was correct, and this may have been a clear case of rubber stamping a BS tax shelter for all I know, but his having no prior experience shouldn’t automatically disqualify a practitioner. In Swiggart v. Comm’r, the Tax Court found the taxpayer was the “prevailing party” under Section 7430 and allowed to recover litigation and administrative costs. Underlying matter was whether or not the taxpayer was entitled to file as head of household, which the Service initially disagreed with because the taxpayer did not indicate who the individual was that allowed him to file as HoH. The taxpayer had an agreement with the child’s mother, whereby he waived any claim for the year for the dependency deduction, so he had not listed the child, but that did not disallow the HoH status. After an administrative appeal, the taxpayer went to the Tax Court, where he and the Service entered into a stipulated settlement agreement whereby the taxpayer prevailed. The Court found the taxpayer was clearly the prevailing party, and, importantly, the Service was not substantially justified in its position (clearly contrary to the statute). Although not directly on point, this initially brought my mind to the situation where the Service concedes litigation when a qualified offer has been made, which we have discussed here. There the Service took the position that did not make the taxpayer the prevailing party, and therefore not entitled to costs. The Second Circuit had an interesting bankruptcy holding in United States v. Bond. The holding related to the jurisdiction of the bankruptcy court to review a liquidating trustee’s refund claim, reversing the bankruptcy court and the district court which held the claim could be reviewed. The Second Circuit stated that Section 505 of the Bankruptcy Code allowed refund suits in bankruptcy court after a refund claim was filed with the IRS by the bankruptcy trustee. The Second Circuit found the liquidating trustee who was a representative of the bankruptcy estate appointed under the reorganization plan was distinct from the bankruptcy trustee, and therefore not entitled to bring the claim. The Second Circuit did note the assignment of the claim and the appointment of the liquidating trustee were both appropriate, but that did not change the fact that the bankruptcy trustee had to bring the claim with the Service. Had that occurred, the liquidating trustee could have brought the suit through the bankruptcy court. Sticking with bankruptcy, the Tenth Circuit has affirmed the district court and bankruptcy court holding that a taxpayer who entered into some bu!!$h*! tax shelter willfully attempted to evade taxes and therefore could not discharge the liability under Chapter 11 pursuant to Section 523(a)(1)(C) of the Bankruptcy Code. Jack Townsend has a post on the case on his federal tax crimes blog, and Keith will hopefully be posting something on this soon (which will show that this blurb is slightly misleading…and that this case also involves ex-spouses benefiting over the Service…which leads us to the next case). Would you propose a divorce to get around tax or an IRS lien (you might have to be clairvoyant, and move quickly before tax was assessed)? How far would you go to prove it wasn’t a sham? Dating other people? I’m pretty confident my wife is not down with that plan. Folks have divorced to reduce their taxes in the past, but I have not seen it suggested that a divorce could have been a sham simply to get around an IRS lien, until US v. Baker. Neither the Court nor the IRS actually indicated the Bakers’ divorce was a fraudulent sham to get around the liens, but the Court did indicate that a sham divorce, pursuant to which property was transferred, would not be respected. In Baker, the Service did argue that the failure to record the divorce decree resulted in transferred real estate owned by the ex-wife was subject to the ex-husband’s IRS lien. The Court disagreed based on an interpretation of New Hampshire law which allows the divorce decree itself, without further recording, to serve as a transfer of the property. Because the divorce decree was entered prior to the assessment date, no property of the taxpayer existed at the time of the creation of the federal tax lien, following assessment, notice and demand and failure to pay, to which the federal tax lien could attach. The law firm Paul Hastings has a nice write up of the Sixth Circuit decision in FDIC v. AmFin Financial Corporation, which is based on a dispute over the ownership of a $170MM tax refund that the Service issued to the parent company of a consolidated group, and not to the subsidiary that generated the refund. The parent and its subsidiaries had entered into a tax-sharing agreement, which allocated liability. Later the parent entered into bankruptcy, resulting in the subsidiary going into FDIC receivership. FDIC demanded the portion of the refund generated from the subsidiaries operating, but the bankruptcy estate for the parent did the same. The district court held that the agreement clearly allocated it to the parent’s bankruptcy estate. The Sixth Circuit reversed and remanded, instructing the district court to consider the evidence concerning the parties’ intent in accordance with Ohio trust and agency law. PH points out this case is instructive in drafting TSAs, and notes that the FDIC is requiring its insured to amend agreements to allocate refunds to the subsidiaries generating the refund.